The first ever major K-1 martial arts tournament has been held in the Moscow Region this week. Ukraine's Pavel Zhuravlev captured the King's Crown, while Russian giant Evgeny Orlov was knocked down in the first round. 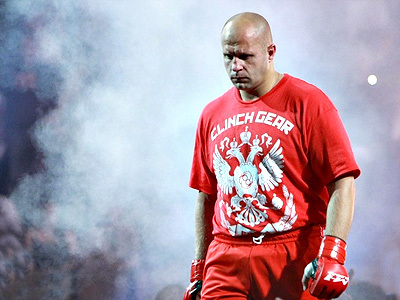 Years of anticipation were rewarded when one of the world's major mixed martial arts, K-1, finally made it to Russia. The Moscow Region hosted the first ever international K-1 event – the "King of Kings" tournament. No wrestling, no grappling, just the ultimate art of kicking and punching, K-1 is where different stand-up fighting techniques like kickboxing, karate and Muay Thai collide in one ring. This time around, an MMA living legend, four-time K-1 World Champion Ernesto Hoost, was cornerman for Dutch fighter Jan Siersema. But a legend in the corner was not enough for Siersema to edge out two-time Korean champion Hyun Man Myung, who won by decision. With three more quarterfinals on the night, it was reigning world kickboxing champion Pavel Zhuravlev who impressed Ernesto Hoost the most. The Ukrainian was quick to set the record straight against Prince Ali – two knockdowns in the second round forced the referee to stop the fight. The fight between Japan's Hiraku Hori and Russian giant Evgeny Orlov was reminiscent of the epic battle between David and Goliath. However, in this case size mattered and Orlov's weight won out. After Belarusian Aleksey Kudin had easily made his way to the semis past Azerbaijan's top heavyweight Vugar Javadov, it came down to the final four, where Hoost's favorite Pavel Zhuravlev faced a big heap of trouble in Orlov. The Ukrainian chose probably the only tactics that could have given him the edge – low kicks. And his plan worked, forcing Orlov to give up the fight in the first round. “It would've been very silly of me to trade punches with Orlov. Plus it was important to finish him as soon as possible. Three fights in a night – that's exhausting. I should've saved some energy for the final,” the Ukrainian said afterwards. Meanwhile, the 2006 world Thai boxing champion Aleksey Kudin proved his class by knocking out Hyun Man Myung. And moments later Zhuravlev and Kudin were back in the ring for the final rumble. Concentrated and cautious best described the first round. Zhuravlyov had a slight edge in the second, although the more powerful Kudin looked fit and aggressive in the third. After extra rounds, both judges and crowd doubted the marathon bout's outcome, but it was Pavel Zhuravlev who finally tried the King's crown on. “It's great that Russia finally hosted a K-1 event, as I always feel at home here. I had to win here and I did. It's just the first step on my way to the top of the world in K-1,” the champion summed up the event.